This chapter discusses how aging successfully is related inextricably both to health and social phenomena and that successful aging is a product of a coordinated effort between the individual, community, and the State. Singapore provides an excellent example of these coordinated efforts. Singapore is one of the most rapidly aging populations in Asia; in 2011, 11 % of the population was aged 65 years and above and by 2030 this proportion will have increased to 19 % (Chan A, Malhotra C, Malhotra R, Østbye T, Int J Geriatr Psychiatry 26(6):630–639, 2010). We discuss the demographic determinants of population aging in Singapore and the economic, social and cultural issues that have arisen as a result of rapid population aging. We then provide a history of State responses since 1982 focusing more specifically on policies surrounding social support of the elderly and health care. In doing so we use existing research to underscore the heterogeneity of the older population in Singapore and make a case for more specific policies for older women. 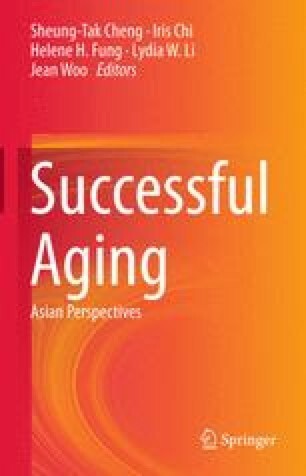 Finally we discuss the incoming baby boomer generation of older Singaporeans who, we expect, will re-define successful aging in Singapore and influence future policy making for people 60 years and older.